By W. Gardner Selby on Thursday, May 25th, 2017 at 3:19 p.m.
From 2015 through 2016, state inspectors found few Texas restaurants with scales that showed more weight than they should, according to information obtained by PolitiFact Texas (Jay Janner, Austin American-Statesman). When Sid Miller squawked about a proposed change in law ending state oversight of scales in restaurants, we wondered if Texas Department of Agriculture inspectors have uncovered a lot of weighty problems when it comes to sales of barbecue and other vittles. That is, do customers stand a good chance of ordering a pound of brisket and getting less than that? Not so, at least according to the results of our open-records request filled this week by aides to Miller, the state agriculture commissioner. From this TDA-provided spreadsheet, we culled a breakdown indicating that statewide in 2015-16, agency inspectors tagged and shut down scales in just seven restaurants--each time, it appears, because a test showed the scale was reflecting more weight than it should. "Over Weight in Excess of Tolerance," each violator was told. By this gauge, McAllen and San Antonio had the most miscreants. There were none identified at restaurants in most cities including Dallas, Austin, Fort Worth, El Paso, Lubbock and Corpus Christi. When we summarized our findings from the provided information, the agency's Stuart Strnad suggested the results show that scale inspections required every four years--which wouldn't be mandated under the proposed change in law--make a difference. "Because we have a strong weights and measures program and consumer protection program, industry and restaurants understand that we regulate their scales," Strnad said. He noted too the existing expectation that businesses rely on licensed service companies to keep scales calibrated. Let's run through restaurants found to have scales showing too much weight. In December 2016, most recently, the Rib House on Old Highway 90 in San Antonio had a scale that showed about 25 pounds when 20 pounds of weight was put on it, according to TDA. --In October 2016, a scale at the Smokehouse on Roland Avenue had a scale showing 10.04 pounds when a 10-pound weight was placed on it. --In September 2016, a Bill Miller Barbecue on Military Drive showed 2.2 pounds when a 2-pound weight was placed on it. In McAllen, according to the agency, Ramos BBQ and Catering on North 23rd Street had a scale showing too much weight in April 2015 and Alejandro’s Bakery and Pizza Factory on South 23rd Street in October 2016 had one scale showing 20.067 pounds when a 20-pound weight was placed on it and another scale showing 15.17 pounds when a 15-pound weight was put on it. 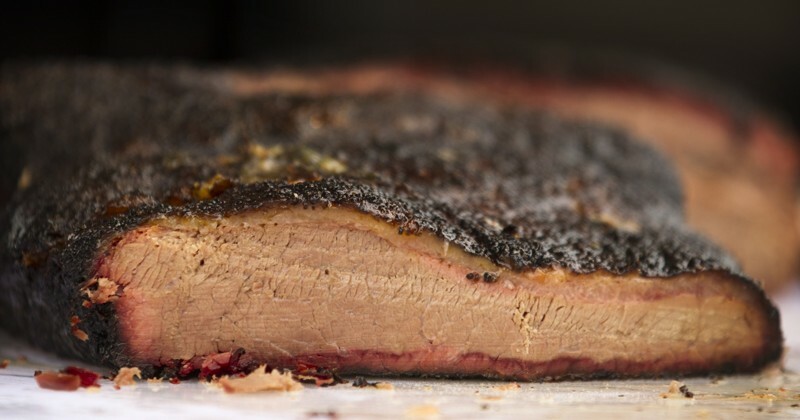 According to TDA, the other restaurants that had a scale showing too much weight were Dickey’s Barbecue Pit on Southwest Loop in Tyler in July 2015 and El Taquito Meat Market on FM 1960 in Houston in December 2015. The agency’s full reply to our request for information suggests that other businesses--not restaurants--accounted for more than 560 instances of scales found to be showing more weight than they should. Places where agency officials shut down such scales included giant stores like Wal-Mart and Target, grocery stores including H-E-B and Austin’s Wheatsville Co-Op on South Lamar Boulevard--and also a couple of airport airline counters, according to the provided information. In customers’ favor: The agency’s inspections uncovered more than 3,100 instances of scales showing less weight than they should, according to the provided information. Anyone buying food weighed on such a scale was getting a bit extra at no charge. Jessica Escobar, a TDA attorney, told us by phone stores were allowed to keep those scales in operation. Miller has objected to House Bill 2029 by Rep. J.M. Lozano, R-Kingsville, which has cleared the Texas House and Senate; it’s due next on Gov. Greg Abbott’s desk. Lozano owns five Wingstop restaurants, none of them using scales, Lozano’s legislative director, Theo Plowman, told us by phone. See the full spreadsheet here. See our breakout of restaurants here.